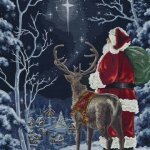 Interested in making the OESD Tiling project, "Dashing Through The Snow" or "Starry Night Santa"? Here's your chance! Phyllis will take you through the project, step by step. Finishing class will be in September. This 9-month class is open to anyone who has purchased either a fabric kit or all of their fabric from Sew Many Quilts, for the Dream Flight pattern by Jacqueline deJonge. Come and sew with us - and find inspiration to get this beauty finished! The class/sewing sessions will be offered on the Second Sunday and the last Thursday of most months, from May 2019 through January 2020. Machine Embroidery techniques using ArtLink 7 software (for your laptop) and Bernina with Embroidery module. 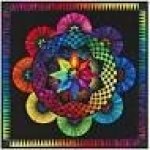 Learn about threads, stabilizers, hooping, and various techniques and "tricks of the trade." Basics of ArtLink 7 from Bernina. Practice techniques and stitching various types of embroidery. Skill Level: All Levels. We know Jacqueline is coming back, and we know we will host a 3-day workshop on August 6, 7, and 8 (Friday through Sunday) in 2020. Want to put your name on the Notification List for the workshop? Just sign up for this "class", at no charge, and we'll contact you when we know more info and the price. We're already excited about our next "Be Colourful" event! Join us! !